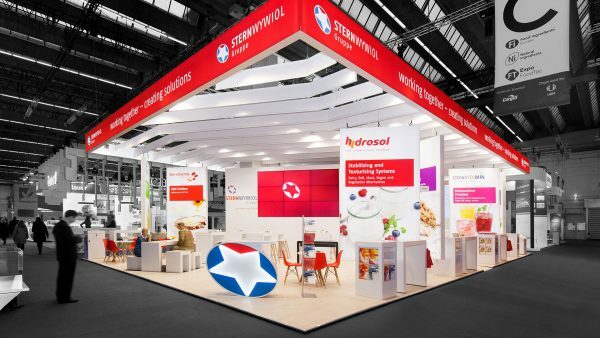 Why would a Belgrade-based company commission PREUSS MESSE to design and build its trade fair stand when stand construction is so much cheaper in eastern Europe? 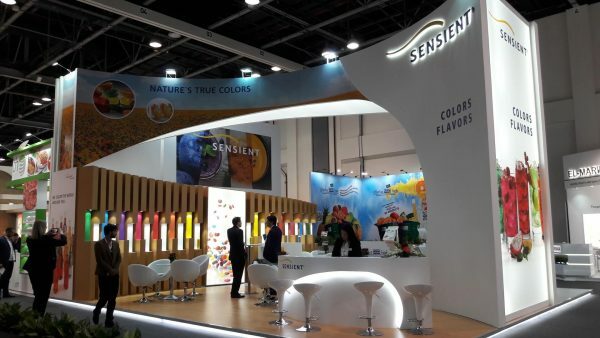 The answer is simple: although quality and design come at a price, they are an essential part of any successful trade fair stand. Serbian company Patent enjoys a strong position in Asia and eastern Europe. The next step is to expand into the rest of Europe. 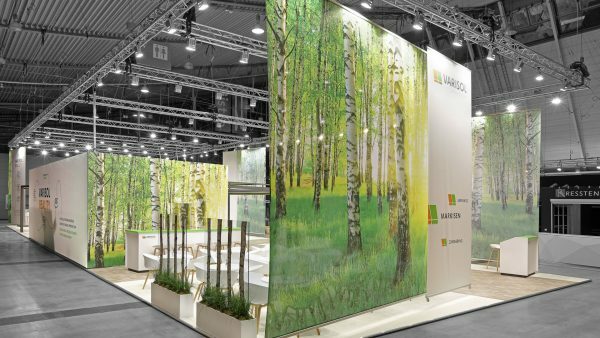 The company quickly found the right platform for achieving this aim: EuroTier in Hanover. After all, Patent is a manufacturer of animal feed additives. The only question was: who should design and build the stand? ‘We can now see that it has paid off to invest in quality and design,’ said company director Emil Hubač during the handover. ‘Looking around at the rest of the hall, we stand out from the crowd on account of quality and appearance.’ Project manager Charlotte Smolny brought the company’s CI to life in a seemingly natural setting; thanks to its open design, visitors flock to the stand like moths to a flame. You’re welcome! 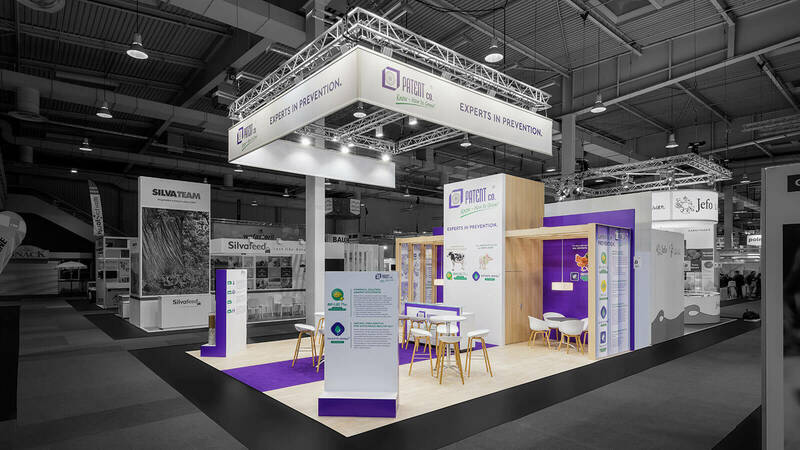 The stand space for this year’s EuroTier has already been booked.